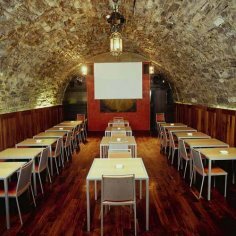 There are restaurants in Dublin to suit every occasion, taste, budget and party size. Dublin offers a huge variety of cuisine in many locations. Depending on reputation and popularity be prepared to spend anything between €15 to €50 per person for a set lunch. As eating out in Dublin at night is very popular prices rise accordingly. Again depending on the restaurant you may pay between €25 to €100 for a three course meal from an à la carte menu. Remember though the restaurant experience in Dublin is about quality service and food and is well worth trying out. An offer that many restaurants have is the 'Early Bird Menu'. This gives the customer a wonderful opportunity to eat out in Dublin's fine restaurants at a very reasonable price; you simply eat a little earlier.